A high alert has been sounded by the Gujarat Police after the state intelligence bureau provided input about a possible terror attack, immediately after the February 14 Pulwama incident. An intelligence input has warned of a possible terror attack in Gujarat in the wake of the last week’s Pulwama bus bombing, prompting the state government to review overall security arrangements Monday. Gujarat Chief Minister Vijay Rupani reviewed security arrangements and preparedness of the state police at a meeting in Gandhinagar where he sought views of top officials about the security set up at vulnerable places such as the Statue of Unity in Narmada district, the Sardar Sarovar Dam and Somnath temple among others. 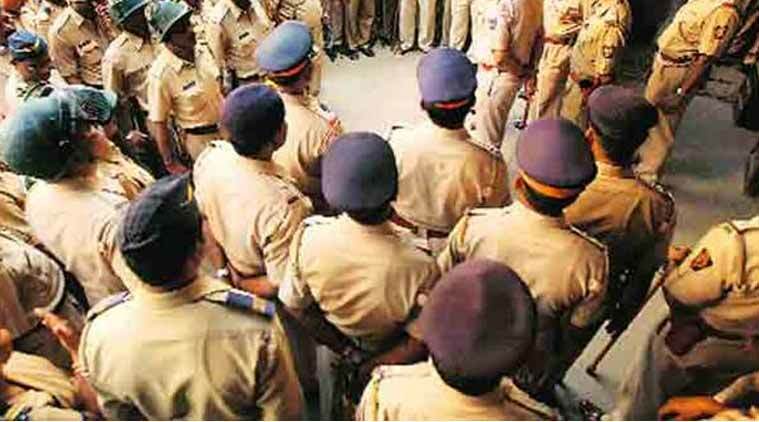 A high alert has been sounded by the Gujarat Police after the state intelligence bureau provided an input about a possible terror attack, immediately after the February 14 Pulwama incident in which 40 personnel of the Central Reserve Police Force (CRPF) were killed, a police officer said. Another officer said it was a general input recommending tightened security at vital installations to avert any possible terror strike. At the meeting, the chief minister reviewed the measures put in place by police, said state Chief Secretary J N Singh. Besides Singh, state DGP Shivanand Jha, Home Secretary A M Tiwari, Minister of State for Home Pradeepsinh Jadeja and other senior officers of police and intelligence wing attended the meet. “During the meeting, the CM took our views about the status of our preparedness as well as overall security arrangements at vulnerable places, such as the Statue of Unity, the Sardar Sarovar Dam and Somnath temple among others,” Singh said after the meeting. He maintained that the intelligence input was of a general nature and did not pinpoint a specific target. “At the meeting, we have apprised the chief minister about the overall security set up. After the Pulwama attack, our security set up must be intense and up to the mark,” the chief secretary said. A total of 40 Central Reserve Police Force (CRPF) personnel were killed and five injured in one of the deadliest terror attacks in Jammu and Kashmir on February 14 when a Jaish-e-Mohammed (JeM) suicide bomber rammed a vehicle carrying over 100 kgs of explosives into their bus in Pulwama district.